The romantic comedy has long been regarded as an inferior film genre by critics and scholars alike, accused of maintaining a strict narrative formula which is considered superficial and highly predictable. However, the genre has resisted the negative scholarly and critical comments and for the last three decades the steady increase in the numbers of romantic comedies position the genre among the most popular ones in the globally dominant Hollywood film industry. The enduring power of the new millennium romantic comedy, proves that therein lies something deeper and worth investigating. This new work draws together a discussion of the full range of romantic comedies in the new millennium, exploring the cycles of films that tackle areas including teen romance, the new career woman, women as action heroes, motherhood and pregnancy and the mature millennium woman. The work evaluates the structure of these different types of films and examines in detail the ways in which they choose to frame key contemporary issues which influence how we analyse global politics, including gender, class, race and society. 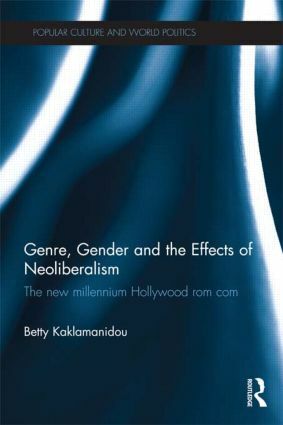 Providing a rich understanding of the complexities and potential of the genre for understanding contemporary society, this work will be of interest to students and scholars of cultural & film studies, gender & politics and world politics in general. Betty Kaklamanidou is lecturer in Film History and Theory at the Film Studies Department at the Aristotle University of Thessaloniki, Greece.